For many Americans, Social Security benefits represent one of their only sources of retirement income. Established in 1935 thanks to Franklin Delano Roosevelt, Social Security works as a forced savings mechanism and provides a basic income for American retirees. Social Security benefits alone aren’t enough to provide a luxurious retirement, though. For that, you’ll have to save on your own. 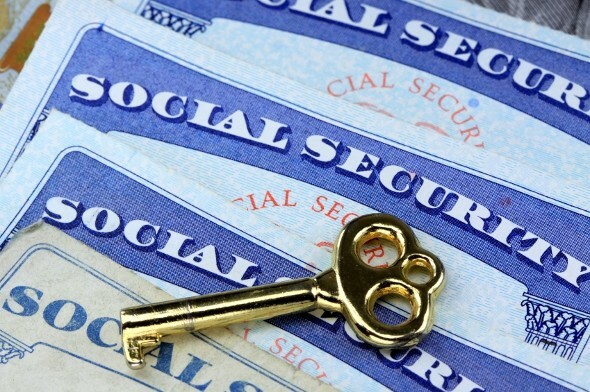 Though the system is well known, many still may wonder: What is Social Security? We explore the details of this government entitlement program below. Social Security is America’s social insurance policy. It helps millions of Americans keep their heads above water. It can be a complex system, but it’s there when you need it. Social Security retirement benefits were designed to be one leg of the “three-legged stool of retirement.” The other two legs are individual retirement savings and pensions from employers. 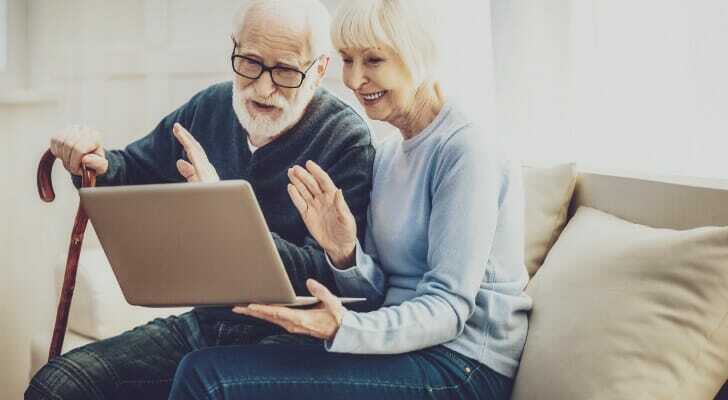 These days, when pensions are disappearing and many people are struggling to build retirement savings, Social Security benefits are particularly important. Plus, Social Security comes with cost of living adjustments that are inflation-indexed. So unlike a 401(k) or an IRA, Social Security benefits are a sure thing. Although Social Security is most famous for its retirement benefits, it’s actually much more than that. It includes disability insurance and life insurance, too. In fact, Social Security is the only long-term disability insurance many Americans have. Widows, widowers and ex-spouses can get spousal and survivor benefits from Social Security. So can orphans and the children of older parents. In order to gain eligibility for Social Security benefits, you must earn at least 40 “credits,” which works out to 10 years. That means you have to be part of the workforce for at least a decade to become an eligible earner. The longer you delay your benefits, the more you’ll receive when you finally take them. Don’t be fooled by the term “full retirement age,” though. Just because you’ve reached your FRA doesn’t mean your benefits are at their max potential. In fact, you have an eight-year window to apply for benefits that stretches from 62 to 70. Only when you turn 70 will you gain access to the highest benefits possible. At this point, all perks associated with holding off on Social Security are maxed out. Social Security taxes are taken out of your wages with every paycheck. Those payroll taxes help pay for the vast benefits program of the SSA. That’s where things can get controversial, with some saying that Social Security is too expensive, too insolvent and too large. Overall, though, it’s one of the most popular government programs. Polls show that a majority of Americans would even be willing to pay higher taxes to keep Social Security going. As far as exact Social Security tax rates go, the standard is 12.4%. However, this rate is divided between you and your employer to the tune of 6.2% each. Self-employed individuals must, by law, cover that entire 12.4% on their own. If you’re self-employed, you may be able to get some of that back via an above-the-line deduction. For 2018, the IRS would only levy the 6.2% Social Security tax on up to $128,400 of your income. Starting in 2019, though, that limit jumped to $132,900. Because of this, the most you’ll pay in Social Security taxes annually is $8,239.80. If you’re approaching retirement, you are likely thinking about what a Social Security check could mean to you. You can estimate your Social Security benefits and start working on a budget for your post-work years even before you apply for Social Security benefits. You can also calculate how much your total retirement savings will have grown by the time you leave the workforce. This should take into account not only Social Security, but also the funds in your pension, IRA and 401(k) accounts. One of the most important decisions you’ll make around retirement is when to start claiming your Social Security benefits. 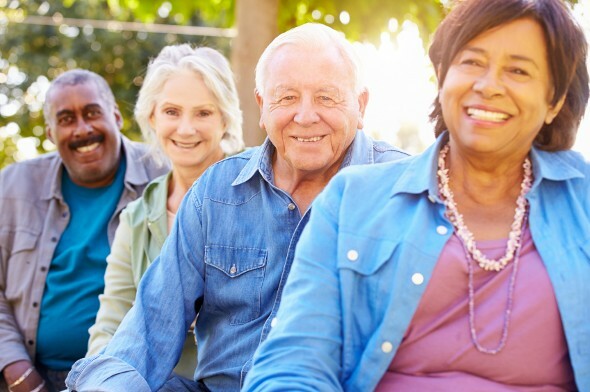 You can claim reduced benefits starting at age 62, wait to claim until your full retirement age at 66 or 67 (depending on when you were born) or delay any time up to age 70. While it may sound counterintuitive, there are plenty of benefits to delaying Social Security benefits. If you wait until age 70, you’ll get a boost to your payout. Building up other retirement savings and an emergency fund can help you hang on until age 70, after which you’ll get your maximum Social Security benefits. If you’re married, work with your spouse on a plan that can help you maximize your household’s combined benefits. Social Security relies on both ethical and economic foundations. It’s a hedge against financial ruin and destitution, helping people live with dignity. When people fall into poverty, they suffer and so does the economy. Americans with no income can’t buy goods and services or invest in companies. The idea behind Social Security is to protect individuals and society as a whole by providing a safety net. Of course, some people pay into the system who don’t really need the Social Security checks they eventually claim. To wealthy people, Social Security retirement benefits are a drop in the bucket of their total financial resources. Even so, the fact that it’s a universal benefits system not just one that targets middle- and working-class Americans is a large part of Social Security’s enduring popularity. However, some argue that all Americans could potentially see stronger benefits through a system of privatized Social Security. If you’re young, you might think of Social Security as the reason your paycheck is a little smaller. You might even grumble about the transfer of wealth from younger people to older people. If a disability keeps you from working, though, you’ll be glad that Social Security has your back. Beyond that, no matter how your 401(k) or IRA performs down the road, you’ll have some inflation-indexed income headed your way every month. Don’t forget to include Social Security payments in your overall retirement income calculations. Although you probably won’t be able to live off them entirely, they’re an absolutely valuable addition to your portfolio. To learn more about what you can expect, stop by SmartAsset’s Social Security calculator. Planning for retirement is a complex venture, so the aid of a financial advisor could be welcome for some. SmartAsset’s financial advisor matching tool will help you find up to three fiduciary advisors in your area. We base your matches on your answers to our short questionnaire, which will only take you a few minutes to go through. The post What Is Social Security? appeared first on SmartAsset Blog.